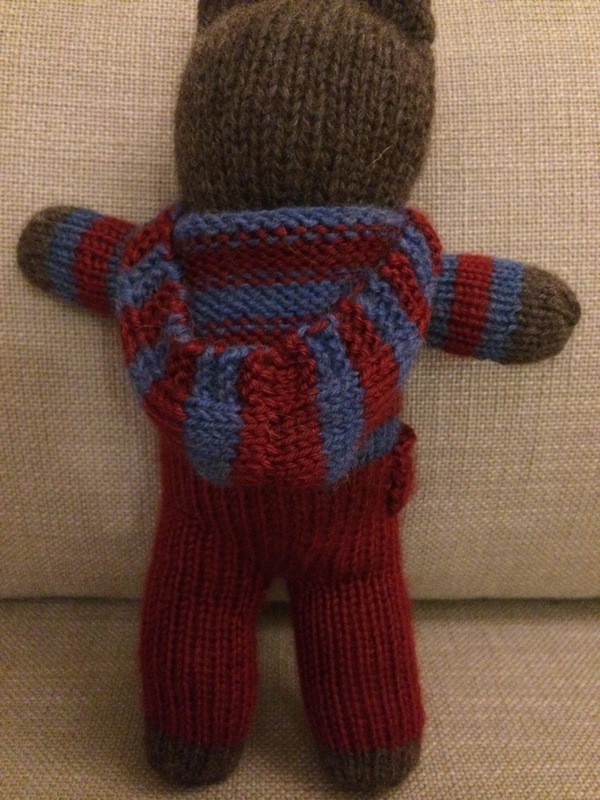 ← Where are my knitting notions? As I told you yesterday, My knitting notions box had gone missing! I did plenty of organizing and tidying up today in hopes of coming across it, and I was successful! I’d put it into a canvas bag that I often use for knit night, although I hadn’t intended on using it yesterday. 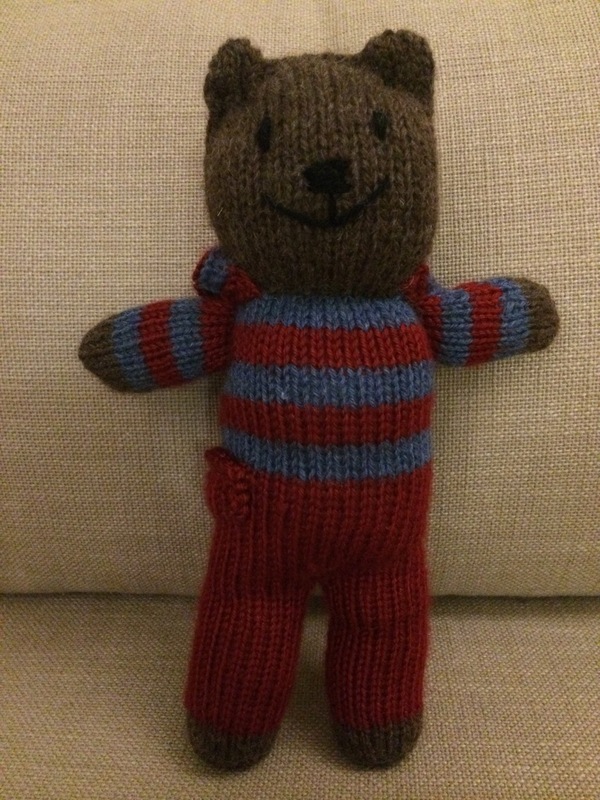 Oh, well, at least I found it and was able to complete my “I” bear. So far the names being tossed around are Inigo and Isaac. What do you think? 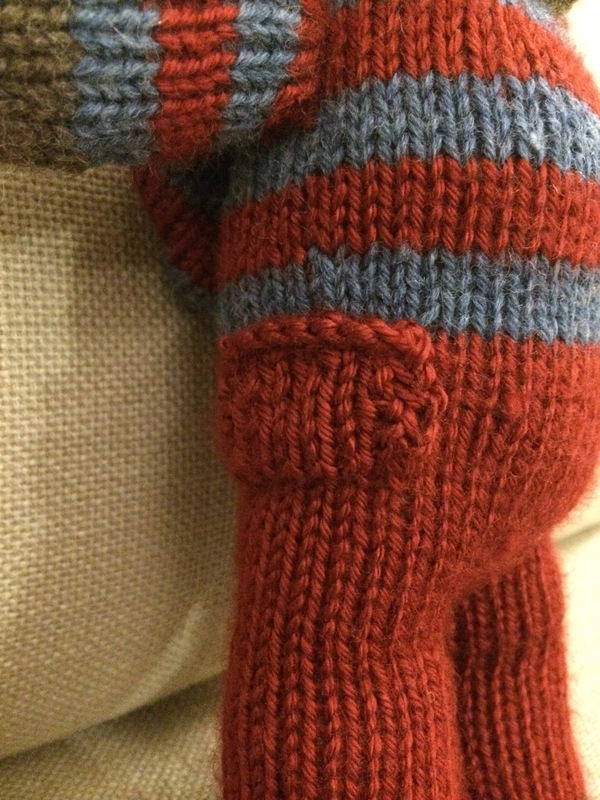 I made some kind of bizarre mistake on the pants, so the lucky bear received a pocket to disguise it! 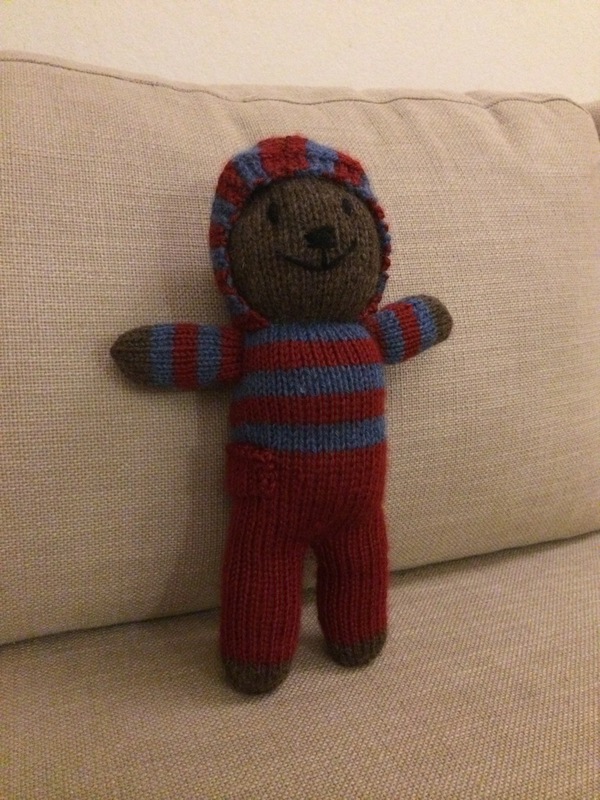 “J” bear is already on the needles, so suggestions for J names are most welcome, in addition to input on “I” names!